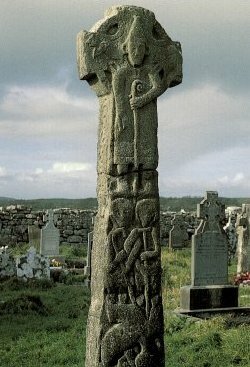 Kilfenora village -The main glories of the historically rich cathedral village of Kilfenora are it’s high crosses. The village was often referred to as the city of the seven crosses. They were erected probably back in the 12th century. The crosses marked out the boundary of the local church. They were also monuments that celebrated local achievements and reinforced the strong Christian faith. The Burren Centre is the main tourist information center in the village with audio visual display which will bring to life the dramatic and fascinating story of the Burren through models, slides, artifacts and information. In 2014 an exhibition of the famous Kilfenora Ceili Band opened. Tea rooms and craft shop is open daily during the summer season. 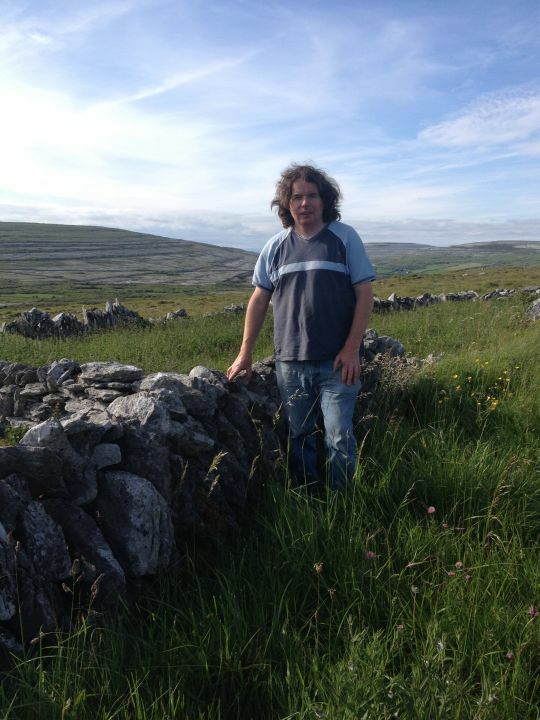 Kilfenora Timeline is an exhibition and a local voluntary project which takes the visitor on a historic journey through the life of its community. It is located in the Cathedral by the Square in Kilfenora. Open during the summer season. 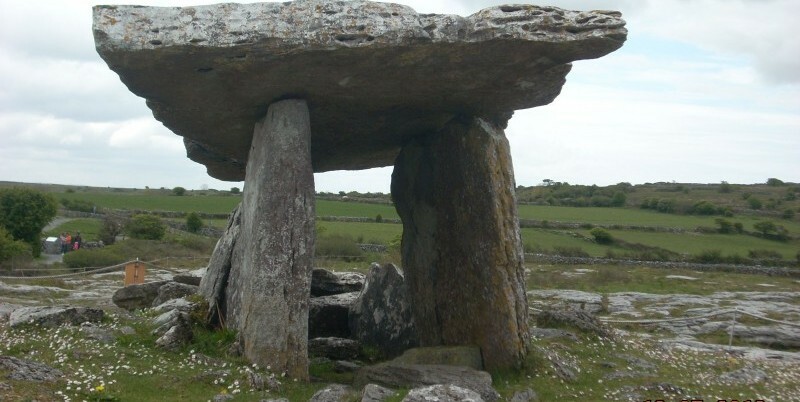 Poulnabrone Dolmen or Portal Tomb in the Burren, is one of the most photographed of all the monuments in Ireland. Its dramatic siting on the limestone pavements makes as much impact on one’s senses as the most famous piece of modern sculpture does. High praise indeed, for its builders of more than 6,000 years ago. Polished stone axeheads, a bone pendant and other small pieces of jewellery were also discovered. 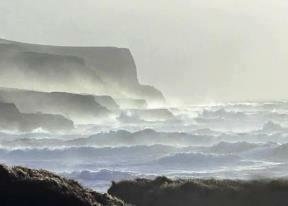 The majestic Cliffs of Moher stand against the might of the Atlantic Ocean. In the ancient Gaelic language, the word Mothar means “ruined fort” and a 1st century BC fort stood where Moher tower now stands, but no remains exist today. The famous landmark, O’Brien’s Tower, is located on the highest cliff and offers an exceptional viewing point. In the environmentally friendly visitor center, open year round, you can immerse yourself in interpretive exhibitions exploring different elements of the mighty cliffs: OCEAN, ROCK, NATURE and MAN. The Cliffs of Moher is also ideal for bird watching, as it is home to Ireland’s largest mainland seabird nesting colony, with 20 species of nesting birds and up to 30,000 breeding pairs. The legendary Aran Islands, a testimony to man’s triumph over the elements, lie just five miles off the coast of Co. Clare. There are three islands in the group: Inismore, Inismaan and Inisheer. These bastions of ancient Irish culture have bred a hardy breed of fishermen and farmers whose roots go back way before recorded history and who still speak Gaelic. During the summer season there are daily ferry services both to the Aran Islands and along the coast to get the majestic view of the Cliffs of Moher from the sea.